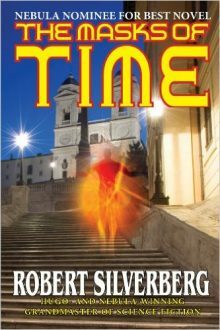 A Nebula-nominated classic by a Grandmaster of Science Fiction, Robert Silverberg, The Masks of Time tells the story of Vornan-19…a naked man who suddenly appears on the Spanish Stairs. Vornon-19 claims to have come from the far future and has access to technological marvels that support his claim. But is he really what he claims to be? Leo Garfield and his fellow scientists must unravel the truth about Vornon-19, but are they up to the job, or will they too fall under his magic-like spell, just like the rest of the world who is ready to worship a new kind of a messiah?